Greek honey made of solid gold! Gold has always been a symbol of power and authobrity. For its sake kings conducted wars and often used it to buy alliances. The precious metal was also a favorite subject of women that once adorned the human skin giving it a special glow. For John Karypidi and Stavroula Theodorou gold was the reason to stay in Greece when they had already organized their migration to Britain. “Looking back, I really can not even believe how we got here in just two years. I obviously do not regret that we decided to stay in Greece and realise our dream”says John. What exactly did they do? 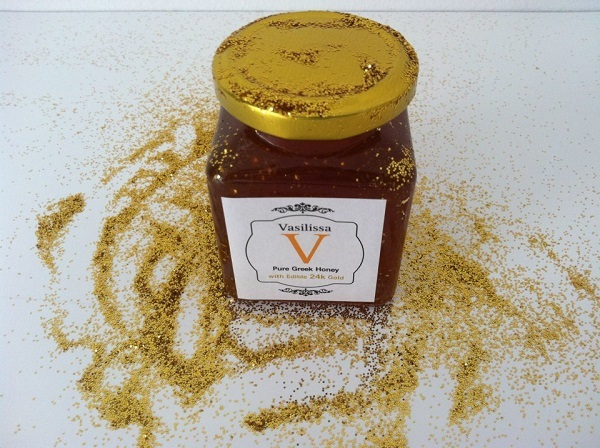 They created their own honey by adding edible gold leaf and named it VASILISSA (the greek word for “queen”). The idea was born about two years ago, while they were having fun at the wedding of a friendly couple. There, they were offered champagne with edible gold leaf. They were so impressed that they wondered if they could do something similar with honey. Stavroula’s family also produced its own honey for decades so the question of expertise was solved. The Greek patent did not take long to turn into business which was established under the name “Stayia Farm” from the initials of their names Sta (Stavroula) and Yia (“Yiannis” or John in English). For the packing process they seized a property they had and the next step was to design the packaging of the product that would finally reach the consumer. “We control the entire process. From organic honey production to the shelves distribution” says John. Their own Vasilissa, with its edible 24 carat gold leaf did not take long to become known abroad. The products have been placed in the largest deli markets of the planet and even reached the shelves of Harrods. “The edible gold is very beneficial for the body thanks to its antioxidant properties, making our product unique of its kind in the world” says John Karypidis making a special reference on the packaging: “It is particularly important to take care of everything. Appearance is something that catches your attention and we give great importance to every detail”. The product won (among other awards) the Innovation Award for Food and Stayia Farm became famous for being on the official contest page «Share your success» in Facebook. 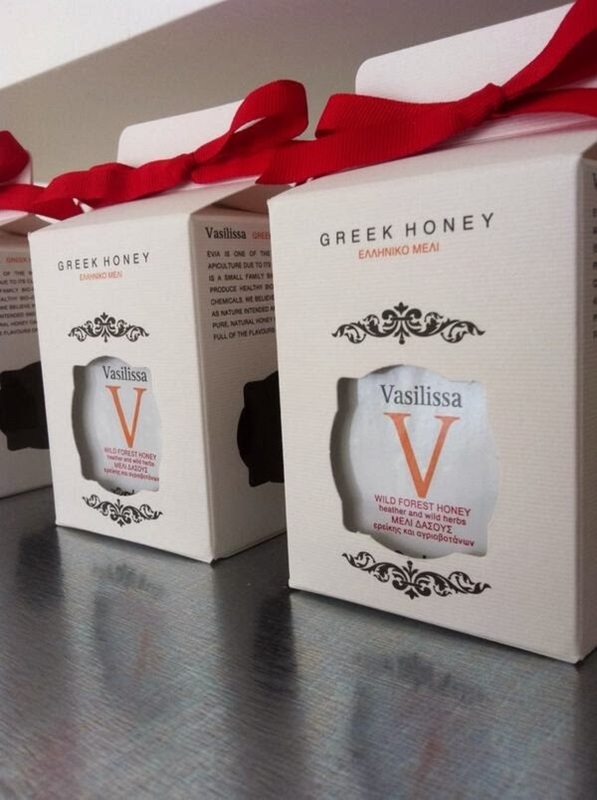 Apart from the gold leaf that is a registered trademark of Stayia Farm, “Vasilissa” collection – certified with ISO 22000 – includes Greek honey with the properties of royal jelly, Chios mastic, cinnamon wood, lavender, Tibetan Goji Berry and red hot pepper.